Siteground – I run my website on WordPress and originally started with a different hosting company (and had a ton of issues) until I switched to Siteground a couple of years ago. I've had no complaints since switching to Siteground and their customer service is always super helpful when I have questions! Acuity – This tool makes it SUPER easy for my consulting clients to schedule appointments, complete questionnaires, and pay for their sessions all at the same time. 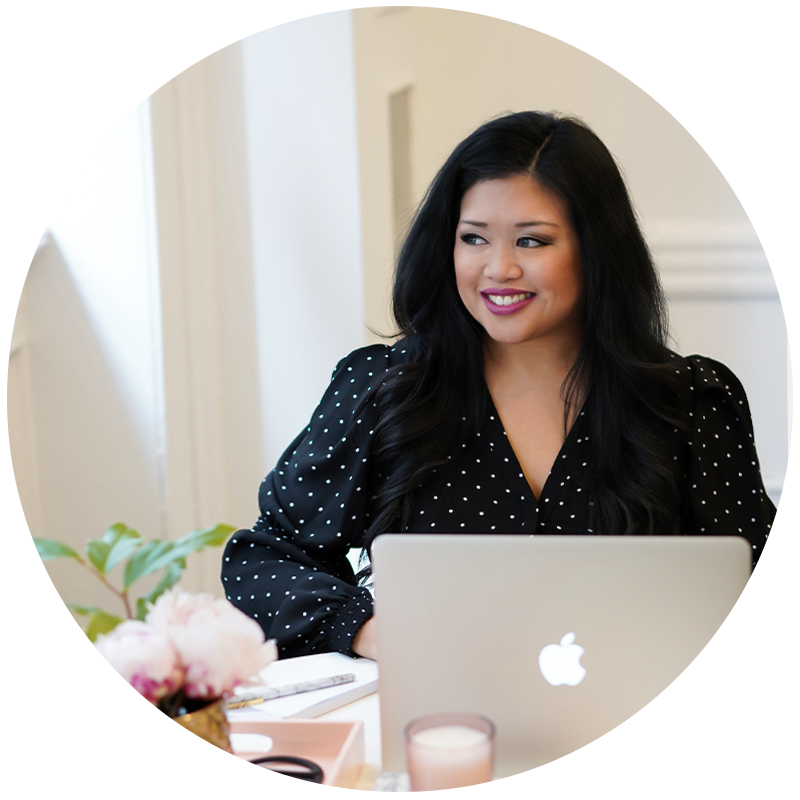 I use Acuity’s “Emerging Entrepreneur” (basic) plan which is just $10/month (there’s a 14 day free trial if you want to give it a try)! Google Apps – For professional looking email and other Google services like Google drive / calendar, I can't live without Google Apps! (P.S. you can get 20% off Google Apps with code 6GWWCDPAWYJAME or 3RL9DQJKNGH7DE when you sign up here! ConvertKit – For email marketing, I'm obsessed with ConvertKit. I switched from MailChimp earlier this year and IMMEADIATELY saw an increase in open rates. Beyond that, ConvertKit's automation and segmentation capabilities are so much better. ConvertKit also has a number of different forms (example at the end of this post) and landing page templates (example here) that are really easy to set up if you aren't using a separate program / plugin to collect emails and deliver lead magnets. 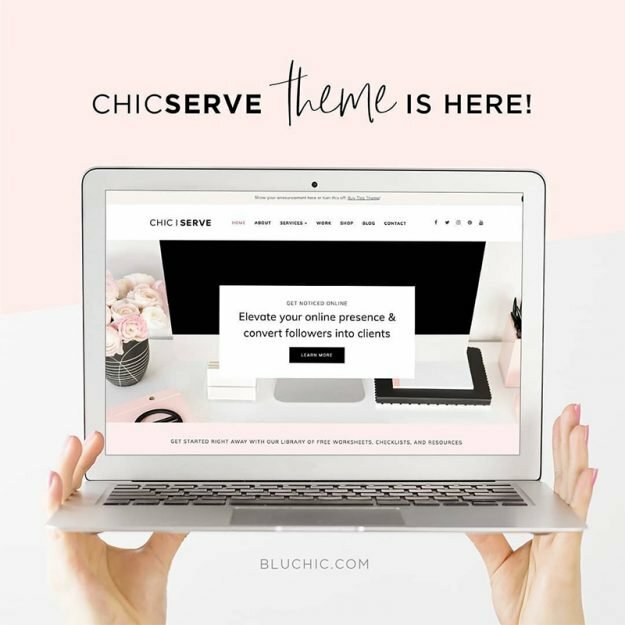 Adobe Photoshop: I use Photoshop CC to create all of my blog graphics, to create content upgrades, to create email graphics, and to edit photos. It's only $10/month and I literally use it every single day! Dropbox: I store all my files (SO MANY PHOTOS) via Dropbox so they don't take up space on my computers. This way they're easy to access, easy to share, and I never have to worry about my computer slowing down! Dropbox also makes it easy to share files between people, so it's great if you regularly work with a team or subcontractors. The basic version is free, but I upgraded to the pro plan (1 TB of storage) for $99/year or $9.99/month. Asana – I switched to Asana (from Trello) for project management a couple of months ago and LOVE it. It's perfect for keeping projects organized and on track – plus the version I use is free! You can plan projects, assign tasks, set due dates and manage collaborations with ease! Tailwind – For Pinterest scheduling / analytics, Tailwind is amazing. I love that you can schedule pins to multiple boards at the same time and the analytics are so helpful in determining which pins / boards are performing well (or not). I’ve seen a HUGE increase in referral traffic (and email subscribers!) from Pinterest since I started using Tailwind. Highly recommend – you can schedule up to 100 pins for free, plus get a free month when you sign up here! BoardBooster – I actually use 2 tools for Pinterest – Tailwind is great for new pins / pinning to group boards, but I love BoardBooster‘s looping feature for recycling old content. I loop around 20 pins per day which saves a lot of time for just $10/month! Get 100 free pins when you sign up here! SmarterQueue is great for scheduling Twitter + Facebook because it saves so much time. Instead of publishing your social media updates just once or having to reschedule them when you want to share again, SmarterQueue saves them in a library that you can build over time and automatically re-share. Read why I think SmarterQueue is the best social media scheduler for evergreen content in this blog post and get a 30 day free trial via this link! 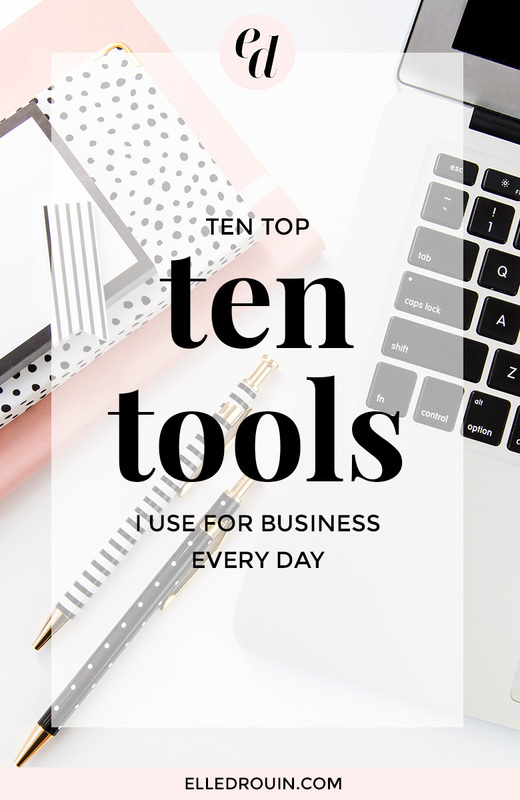 I seriously use all 10 of these tools every. single. day. I'd recommend them all, but I'd love to know – what tools are essential to running your blog or business? 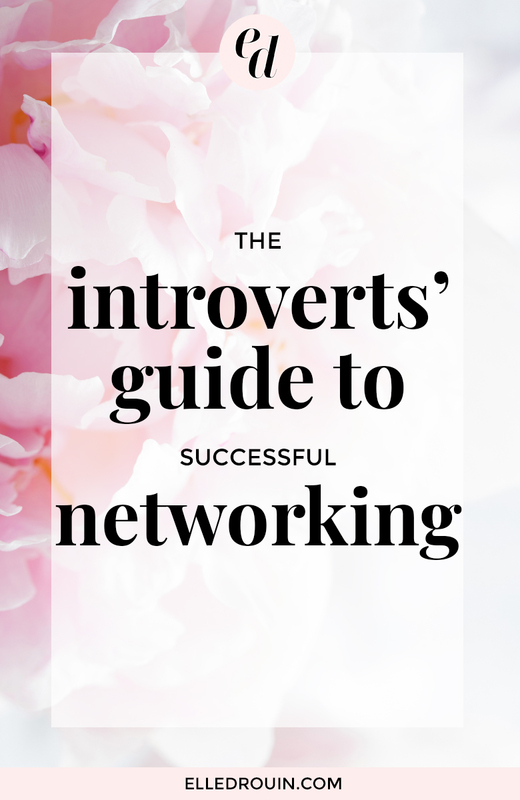 A lot of people in my network describe themselves as creatives. I'm not really artistic or crafty or a “maker” in any sense (I can barely “make” microwave dinners), but I like pretty things, know my way around photoshop, and get paid for my photography and styling skills… so apparently I am creative. Although much of what I do on a daily basis is “creative” I don't always think of myself that way. You see, I started my career in finance – high net worth wealth management to be specific. Many people who meet me now are surprised because my day-to-day seems so different, but in reality I use the same business skills – I just leverage them in different ways. Sometimes I wonder where I would be now if I had started down a more creative path earlier… would I be more confident in my creative abilities? Would I have a more impressive portfolio of work? Would I have more social media followers? Maybe. It's easy to “what-if” the time away, but it's probably more important to acknowledge and be thankful for the path that has led me to where I am now. 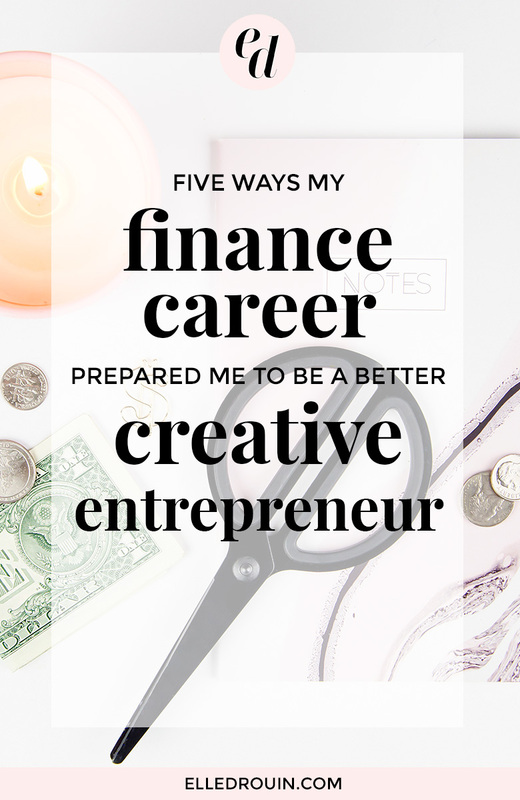 It if weren't for my career in finance, I wouldn't feel as confident about business skills that are ESSENTIAL to being a creative entrepreneur. Specifically…. As a financial advisor, one of the biggest parts of my professional education was sales training. Consultative selling to be specific. I spent years understanding why people buy things and how to sell to them by providing solutions to their problems. In the past decade I've sold everything from $100,000+ investments in long-short hedge funds to $10 costume jewelry, and while sales is not my favorite aspect of running a business, I get it, and I'm not scared of it.